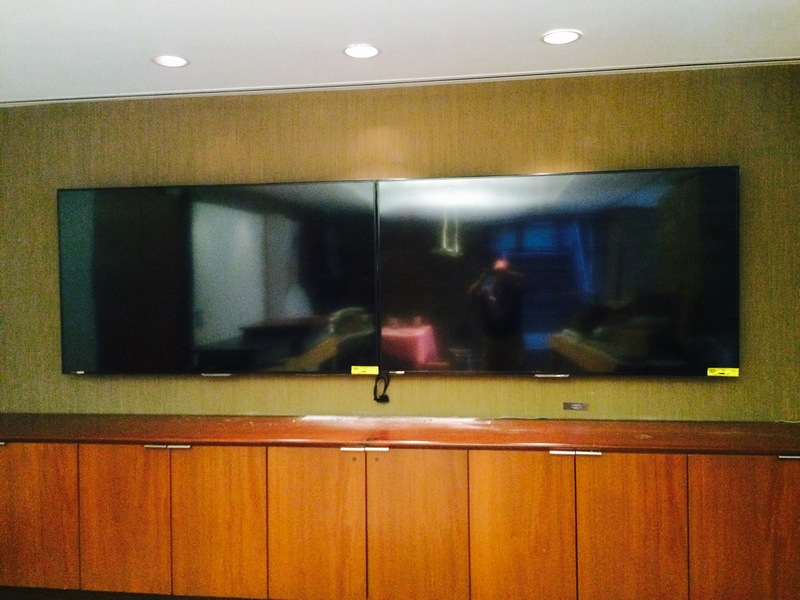 A gallery of some of our recent AV installations. Local magazine and media company headquarters: dual 80 inch 4k TVs, teleconferencing and multimedia conference room with switching. Large country club banquet room renovation: 3 large projectors with lifts, screens, switching and multi-speaker audio throughout. Large local Southeast bank headquarters meeting room with two 90″ monitors, Panasonic laser projector and 3 camera switching and control system.